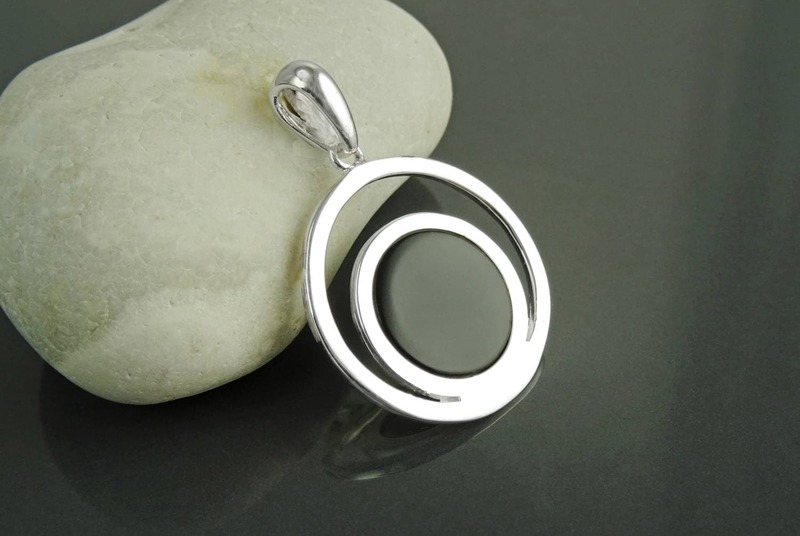 Minimalist and Chic in Design, this pendant symbolizes the balance of the Moon and the Earth. The Cut Out part symbolizes the Moon (crescent Moon) and the Round part represents the Planet Earth. 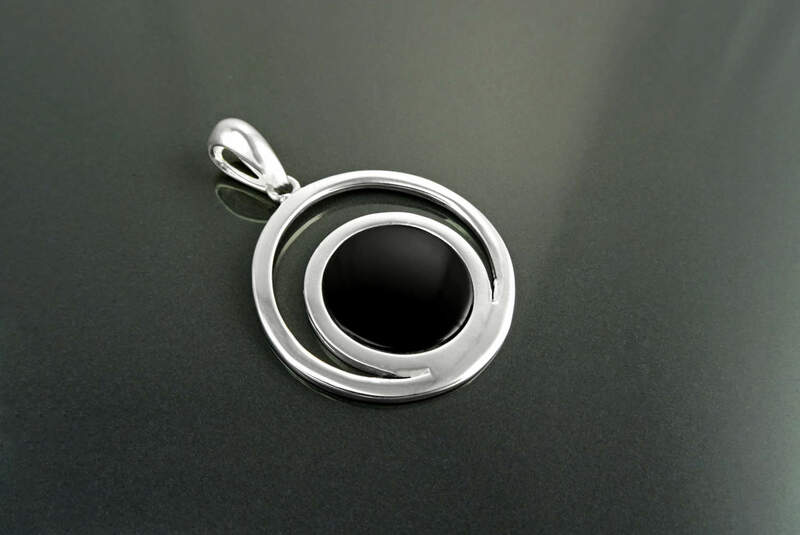 this Sterling Silver Pendant is set with Genuine Black Onyx. Pendant is : 2.7 cm. Wide . Average silver weight : 4.2 gr. 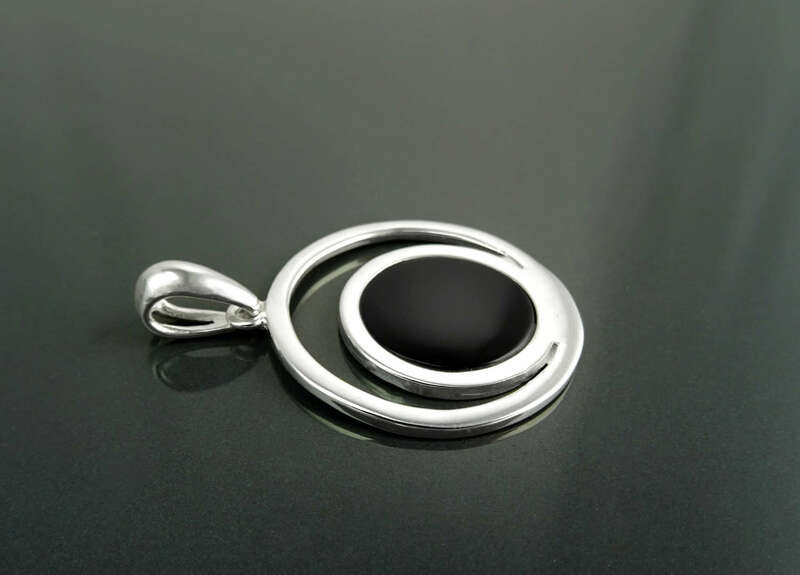 ►Your Pendants will come in a beautiful Pendants Case, ideal for gifts or just storing your jewelry safely. It will be posted in an extremely secure package to make sure its safe arrival at your door. ►Each Pendants are made with NATURAL Gemstone, so please note that the earrings you receive may vary slightly from the one you see in the photo. * Pendant can also be done with Pauha Shell. I love, love, love this pendant. Very modern and elegant. Great artist. I'll be back. Thanks. I gave this to my wife on Valentines Day. She loves it. This is a beautiful item. It arrived on time and well packaged in a lovely gift box. 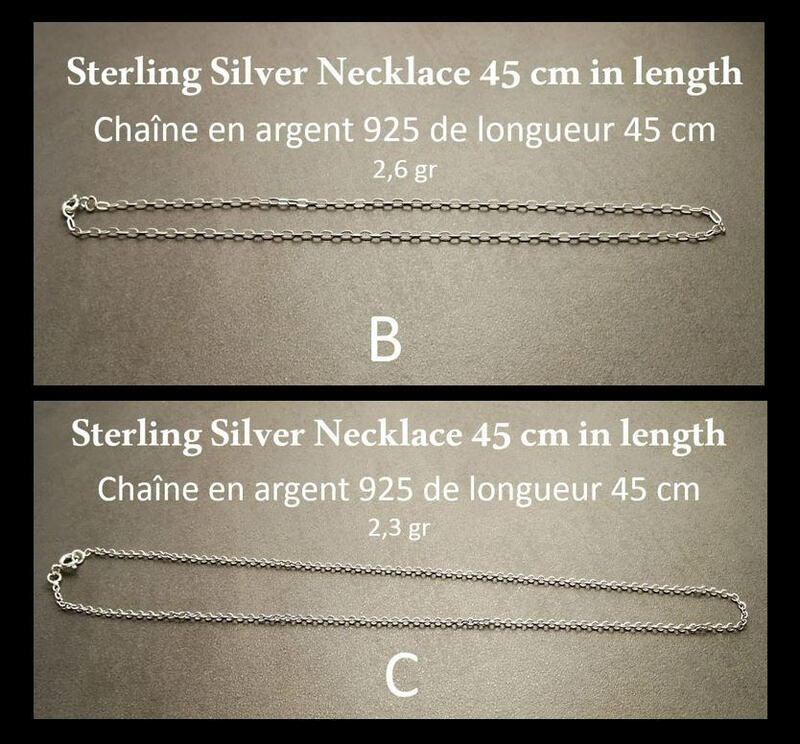 I asked a question about size because it was difficult to get a sense of the actual size of the pendant from the pics on the website and the seller came back to me straight away. I would definitely buy from them again.